If all someone needed was information, wouldn’t everyone be a wild success? Why would we need doctors when we have WebMD? Why use mechanics when we have YouTube? Why go to university when you have a podcast? You could read a book on gardening, but that doesn’t mean you’d be a world-class gardener. No, you need more than information. You need someone who can guide you, give advice, and speed up your success. That’s what you can do with my books and films. Use me as your mentor. Let me guide you through the vast amount of information out there, show you where to go, what to see, saving you time, helping you avoid making mistakes, and supercharge your journey to success. 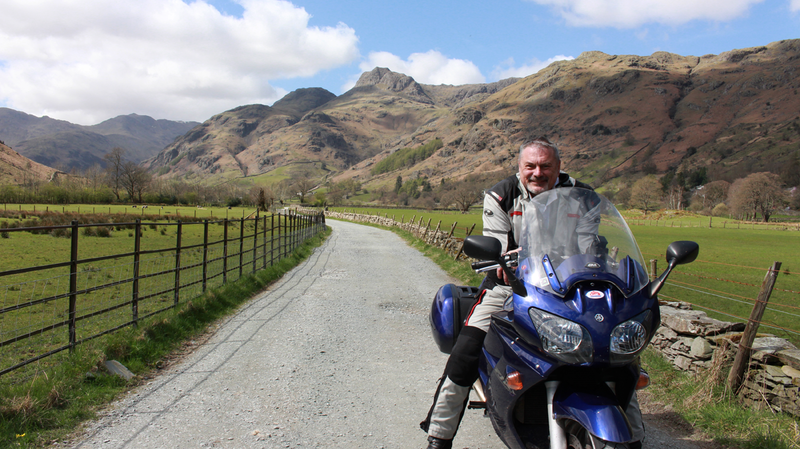 This Unique MotorBike Adventures Of Britain Touring Guidebook for Cumbria & The Lake District packed with Tours, videos, and loads of motorbike friendly places for Cumbria & The Lake District where to stay, Hotels, Guest Houses, B&Bs, alongside Pubs, Inns, Campsites, Cafes, Tea Rooms, Bunk Houses to name but a few, all selected especially for being motorbike friendly. 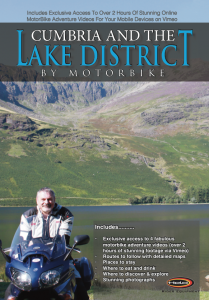 NOTE – This ‘printed’ MotorBike Adventure of Cumbria & The Lake District Guidebook contain information and passwords to access ‘online videos’ of the featured adventures, plus information on how to access ‘online maps’ of the adventures, both of these are not accessible any other way. Full colour pages packed with stories of routes to follow, great photographs, featuring motorbike friendly places……..plus information on how to link to ‘Exclusive Vimeo Videos’ with 4 tours providing over 2 hours of fabulous video footage of where to discover & explore…….plus information on links to fully featured google maps for you to study the routes and the maps also feature the motorbike friendly places. Cumbria & The Lake District Touring Guidebook with loads of information videos, (that you can view, with your password, via Vimeo.com on your smartphone, tablet, laptop, desktop computers and if you have the technology on your TV too) in fact over 2 hours of videos, alongside maps and information showcasing this amazing region to you to help you maximise your Lake District adventures……..